The former treasurer of P.S. 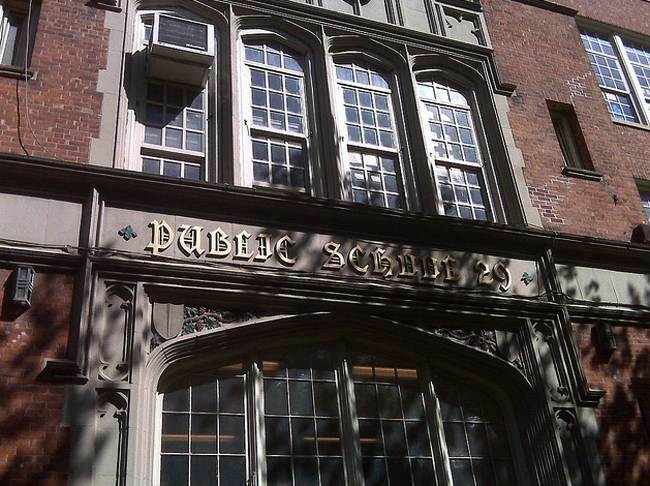 29 Elementary School PTA in Cobble Hill has been jailed after she failed to pay $17,000 that she still owes to the school, the New York Times reports. Providence Hogan was convicted last year of embezzling $80,000 over four years while she was the treasurer of the P.S. 29 Parent Teacher Association and falsifying documents to cover up the thefts. The case has been fairly traumatic for many parents at the school who were friends with Hogan and trusted her to collect and record earnings from fundraising events that can eat countless hours of a parent’s time. The Times reports that the PTA gathered $200,000 in donations last year, though the school’s PTA budget is more than four times that amount. The PTA raises additional money by running a robust after-school program and camps during school holidays, and pays for a vast array of programming and teacher-training and other services at the school. It’s worth noting that her bankruptcy filing that PS29 fought to have the restitution not included in, almost certainly also includes the next set of “friends” who loaned her money 2 years ago to start paying the restitution. So, one way of looking at it is that the money was stolen twice.